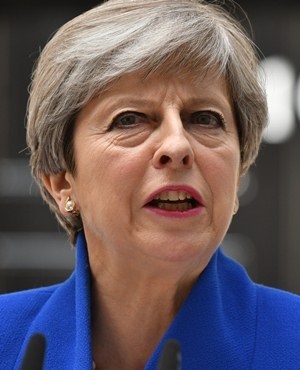 London - British Prime Minister Theresa May said the resignation of President Robert Mugabe on Tuesday has given Zimbabwe "an opportunity to forge a new path free of the oppression that characterised his rule". "In recent days, we have seen the desire of the Zimbabwean people for free and fair elections and the opportunity to rebuild the country's economy under a legitimate government," she said in a statement. "As Zimbabwe's oldest friend, we will do all we can to support this, working with our international and regional partners to help the country achieve the brighter future it so deserves." Mugabe, who led Zimbabwe since independence from Britain in 1980, resigned as president on Tuesday as parliament began impeachment proceedings in the wake of a military takeover. Last week, British foreign secretary Boris Johnson expressed hope for change in Zimbabwe, but warned that "nobody wants simply to see the transition from one unelected tyrant to the next".